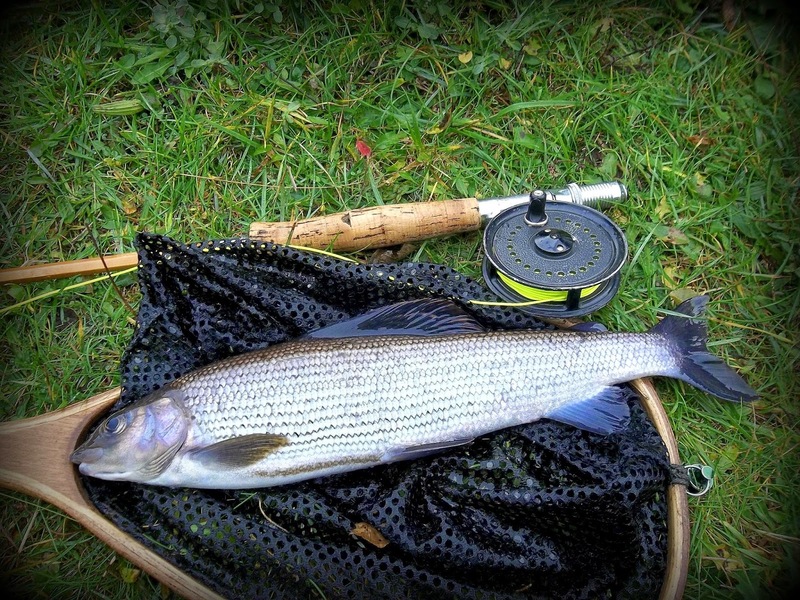 I came out of work last night just after 2200hrs and the rain was battering down on the pavement, not good especially when I had the first planned Grayling outing where Trout was not my target, Yes readers its finally over the Brown Trout are all but a memory and now the Grayling fishing has started in Ernest, the time of year I look forward to the most in my fishing calendar. 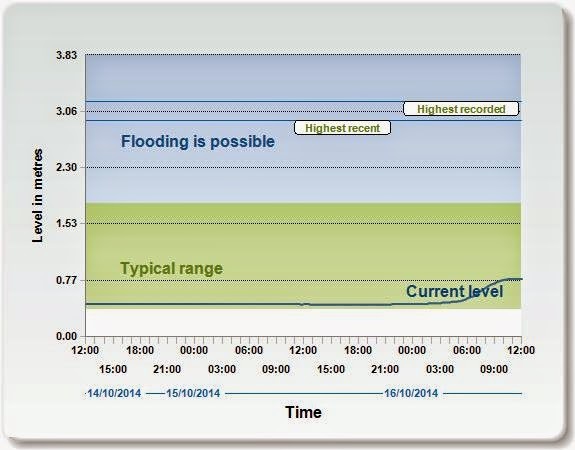 I was up at 0630hrs looking at water levels and although they had risen they were very much still fishable but I knew it wouldnt be for long with the amount of rain that had fallen overnight and it would only be a matter of time before the river rose to an unfishable state so set off early to make the most of it. The drive up the Dale was dank, overcast and very foggy with a lot of water still around all be it a fine mist that was falling. As I walked towards the water my predictions had been right it would only be a matter of time before the river would become unfishable but at present it was slightly coloured with a lot of fallen leaves passing downstream. I marked the water level with an 8" stick so I could keep an eye on how fast it was rising and started getting set up. 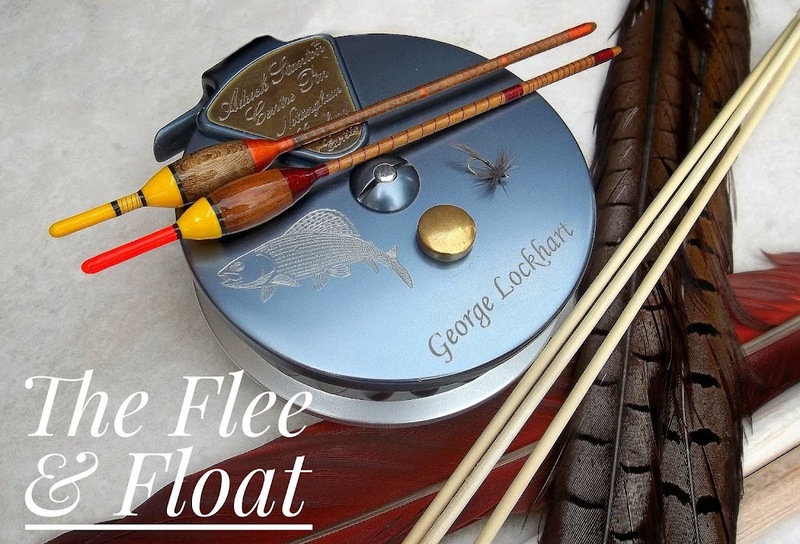 Before long I was set up and opted for a couple of traditional get out of jail flies I like to fall back on and got fishing. I had been fishing for about 30 minutes or so with endless strikes at the leaf fish that were coming down the river by the bucketful when I felt the line start to pull back and the first fish of the day was on. Nothing of any size and my heart sank when I seen what it was.....a trout! 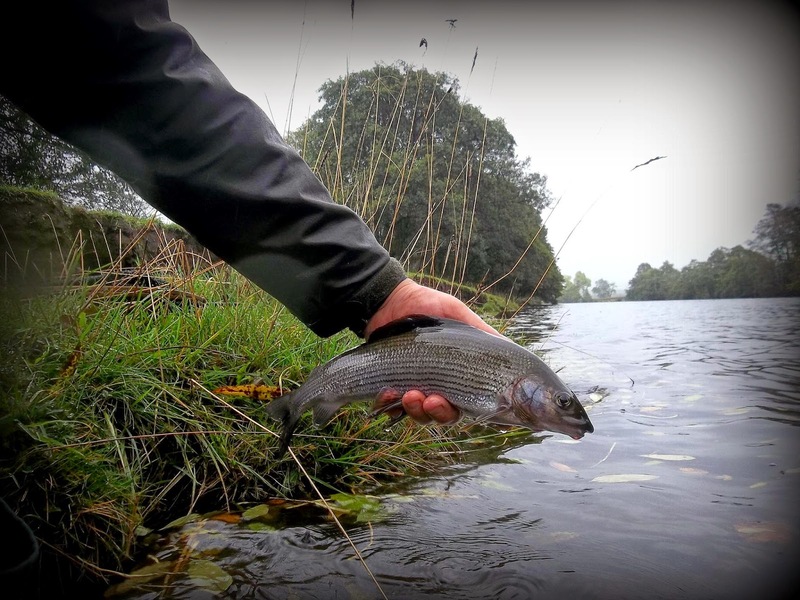 Quickly slipping it back I started fishing back down the run where it had came from and not too long after the line pulled back again and the 2nd fish of the day was on, Please let it be a Grayling I thought, and then as I took a step to my left over I went. I forgot about the boulder which I knew was there but as you do I forgot and fell over it, headlong into the river. Luckily most of my body straddled the boulder and it was really only my arms and a small part of my chest that hit the water with any depth, It was like something from Billy Smart's Circus, with rod still in one hand, landing net in the other and fish pulling back I managed to right myself as the water drained down my sleeves back to where it had came from....it was cold I know that! 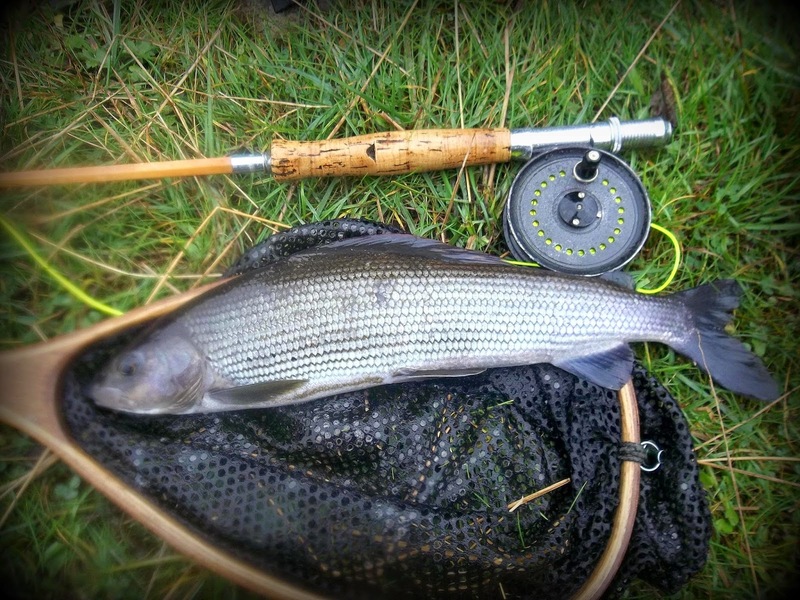 My reward for taking a dooking, a nice Grayling to open the account for the day on Grayling. Time to take some time out, luckily most of the water was soaked up by my Lets Tackle Cancer Fleece which was below my wading jacket and after a quick ring out, a rub down to get the blood circulating again it was back on with the fleece & jacket and back to the fishing. 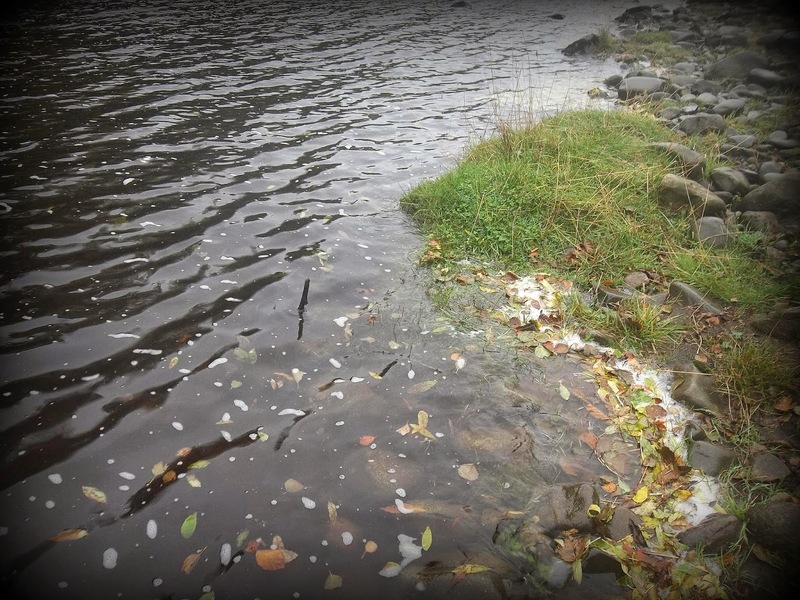 The river was rising and the leaf and debris coming down was starting to get annoying but I knew after taking the previous two fish it was worth persevering on and hopefully get more before it became totally unfishable. 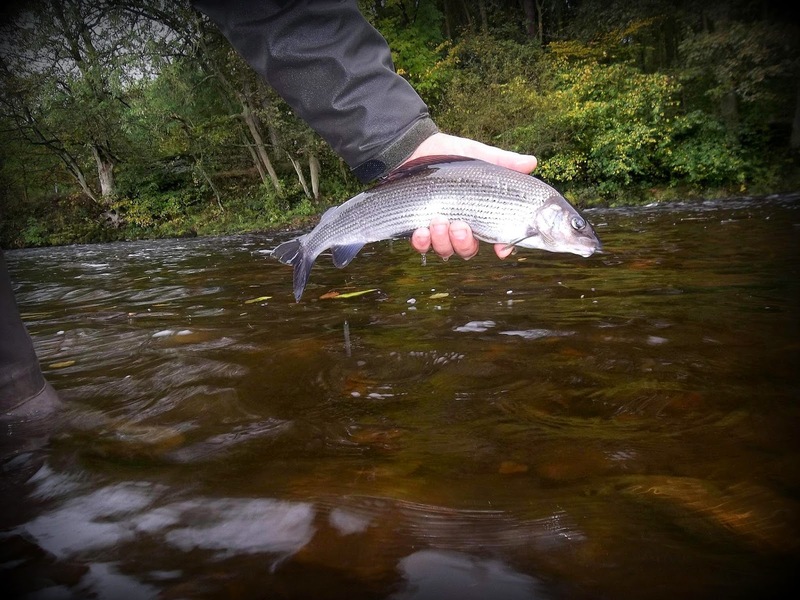 Slightly downstream from the first Grayling the line went taught and started coming upstream, fish on. And like all the fish back she goes to give sport another day. I was keeping a very weary eye on the stick that I had used to mark the water level as now it was well underwater, you can see the stick centre of the picture below, this was marking the edge of the river when I first started some 2 hours previous, as you can see the 8" stick is all but gone and the river is well past the location. I knew there was no point in moving so decided to stay put for another half hour and then that would be it I think as the river was becoming unfishable. 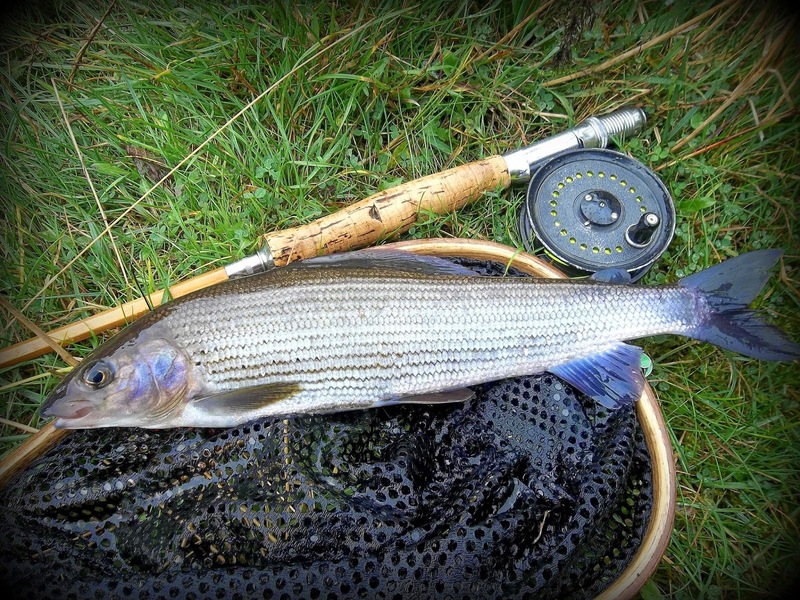 Wise move as 10 minutes later I hooked another two small grayling which topped the day off or so I thought and like every fisherman I wanted one last cast, and this was the result of that final cast, probably the best fish of the day. A slightly damp lens and after a quick dry with a piece of cloth, managed to get a good final parting shot. The river was now unfishable, I had been fishing just under 3 hours and decided to have a wander downstream as it was too early to head home and I enjoy walking the bank, you never know what you can find or see. 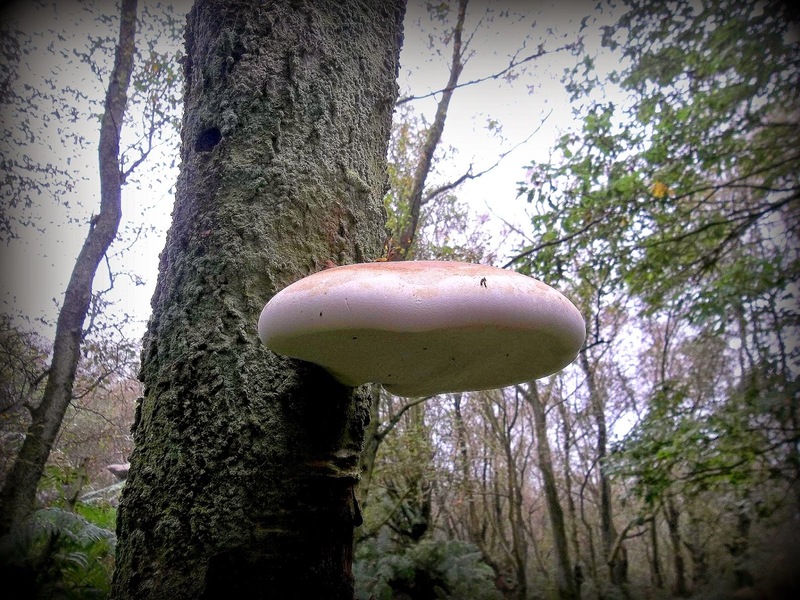 As I made my way through the wood I found this fungi hanging off the side of one of the trees, not sure what it was, so it was left alone but it would have made a lovely addition to an egg & sausage breakfast. 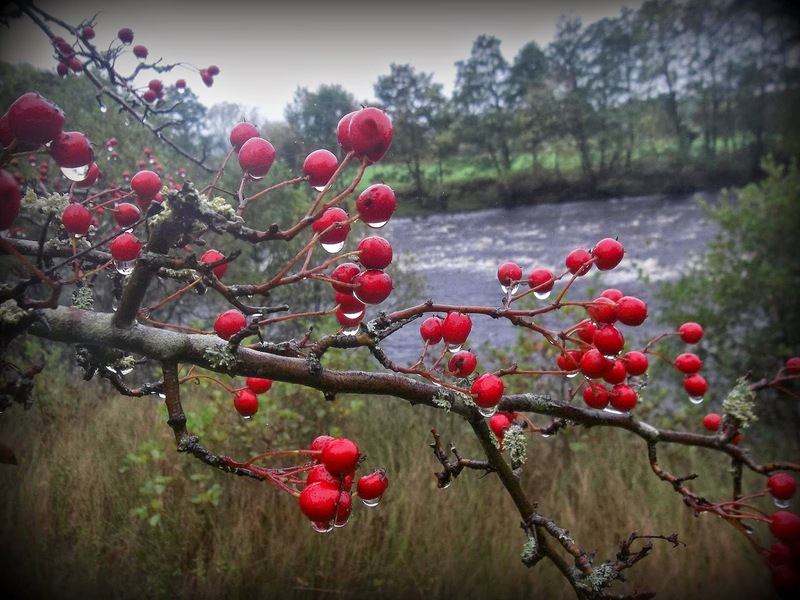 One final snap before making my way back to the car, the drips from the berries about sums the weather up...wet! 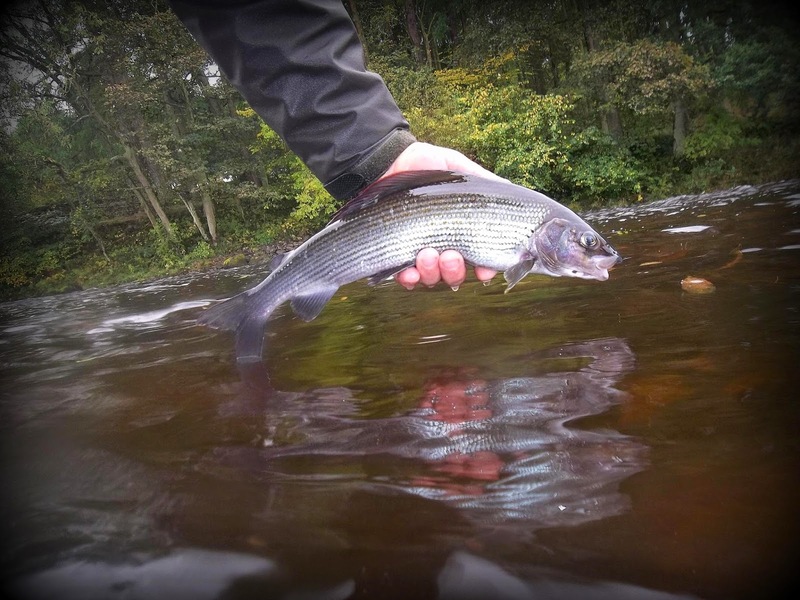 But....a very enjoyable few hours all be it I had a free aqua aerobics class thrown in for good measure, the Grayling certainly made the day. On getting home I checked the river level, I normally dont fish this river above 0.74m as I class that as unfishable, today it was just above 0.77m, my upper levels will be duly amended.